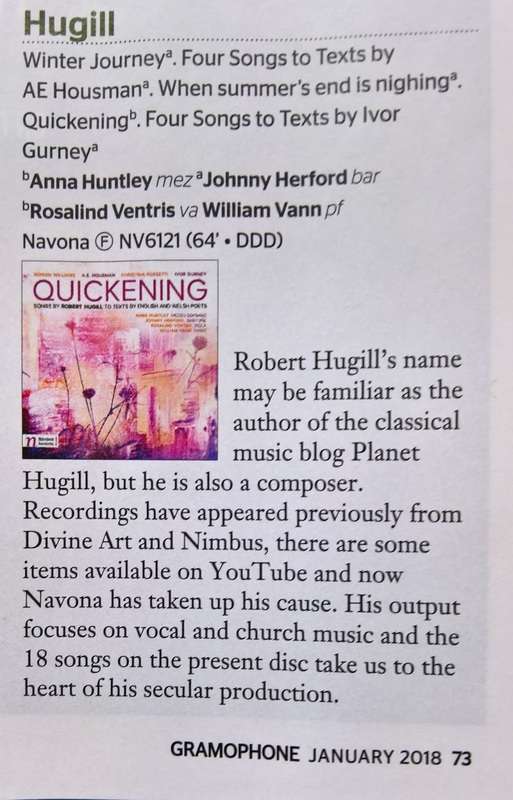 I am pleased to say that our disc Quickening: songs by Robert Hugill to texts by English and Welsh poets is featured in a review in the January 2018 edition of Gramophone magazine. 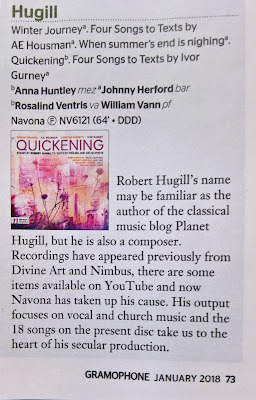 The disc features my my settings of Rowan Williams, A.E. 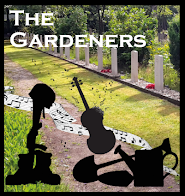 Housman, Ivor Gurney and Christina Rosetti performed by Anna Huntley (mezzo-soprano), Johnny Herford (baritone), Rosalind Ventris (viola) and William Vann (piano) on the Navona Records label, well done all.